This year the Spanish Air Force 142 Escuadron (ALA 14) flying the Mirage F-1CE, based at Albacete, exchanged with the Italian Air Force 22 Gruppo based at Istrana AB, flying the F-104S. It was a 2-way exchange. 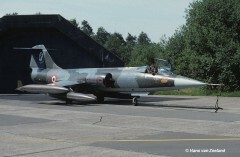 This period the Dutch Air Force 314 Squadron, based at Eindhoven AB, flying the NF-5A, was involved in a squadron exchange with the Italian Air Force 10 Gruppo based at Grazzanise, flying the F-104S. It is unknown if it was a 1 or 2-way exchange but at least the Italians came to Holland. On 22 April 1987 a TF-104G, MM54235/4-31 together with MM6762/9-42 and MM6708/9-51 landed for a pre-visit. They flew via EBBL and spend the night at Eindhoven. Participating aircraft during the exchange were MM6817/9-45, MM6936/9-31, MM6737/9-33 and MM6719/9-50. Transport was executed by G-222 aircraft MM62119/46-21 and MM62109/46-96. Beneath photos of two of the participating aircraft 9-31 and 9-33 at Eindhoven taken by Hans van Zeeland. 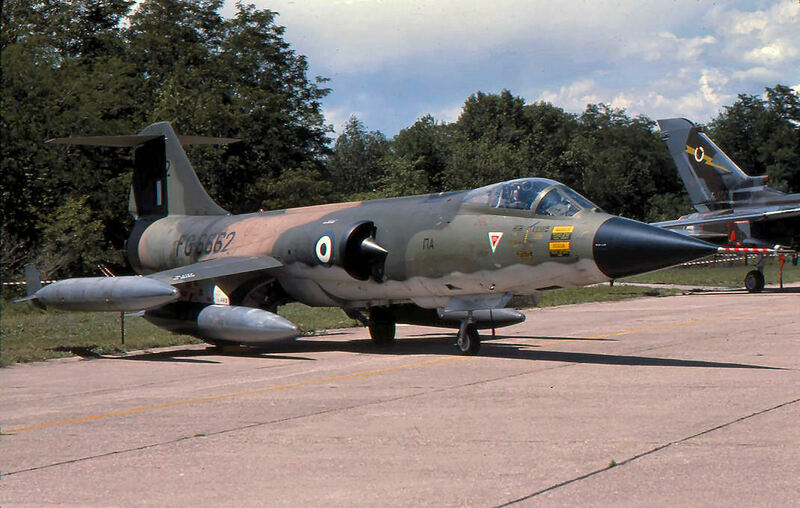 This period the Canadian Armed Forces 439 Squadron, flying the CF-18A Hornet aircraft from Sollingen, held a squadron exchange with the Italian Air Force 102 Gruppo based at Rimini, flying the F-104S. It is unknown if it was a 1 or 2-way exchange but at least the Canadian Hornets were seen at Rimini with 8 aircraft. Some air intercept missions were conducted but most flights were air-to-ground including a mass attack on Grosseto Air Base, Italy. 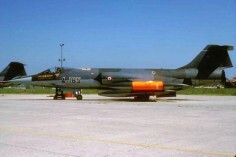 This period the Turkish Air Force 142 Filo (4 AJU), based at Murted, flying the F-104G, was involved in a squadron exchange with the Italian Air Force 23 Gruppo based at Rimini, flying the F-104S. 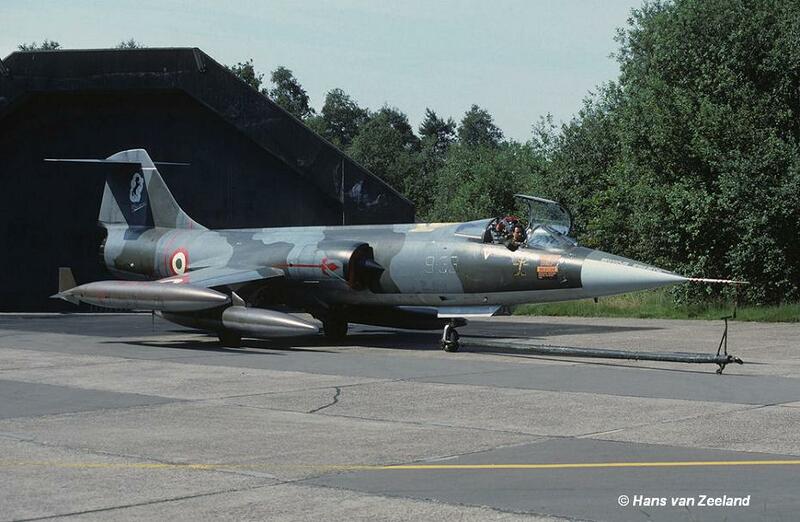 It is unknown if it was a 1 or 2-way exchange but at least the Turkish Starfighters flew to Italy. Participating Turkish aircraft were F-104G 2046/9-046, 8185/4-185, 8296/4-296 and TF-104G 5704/9-704, 5911/4-911, 5918/4-918. Beneath a photo showing 8185/4-185 at Rimini. Along with the 142 Filo pilots also 2 pilots participated from SAHIN SQ. which was located at Balıkesir at that time. 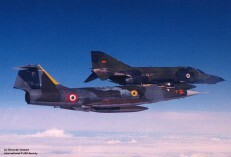 Four Italian Starfighters from Gioia del Colle based 12 Gruppo exchanged with Royal Air Force 92 Squadron at Wildenrath flying the Phantom FGR.2. 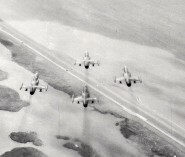 The four Starfighters involved were MM6822/36-01, MM6703/36-05, MM6824/36-12 and MM6875/36-22. Earlier on, on 28 June Starfighters MM6807/36-11 and MM6818/36-14 stayed the night over for a pre-visit to Wildenrath. They returned back to Italy the 29th. It was a two-way exchange. Beneath a photo showing aircraft 36-22 landing at Wildenrath. 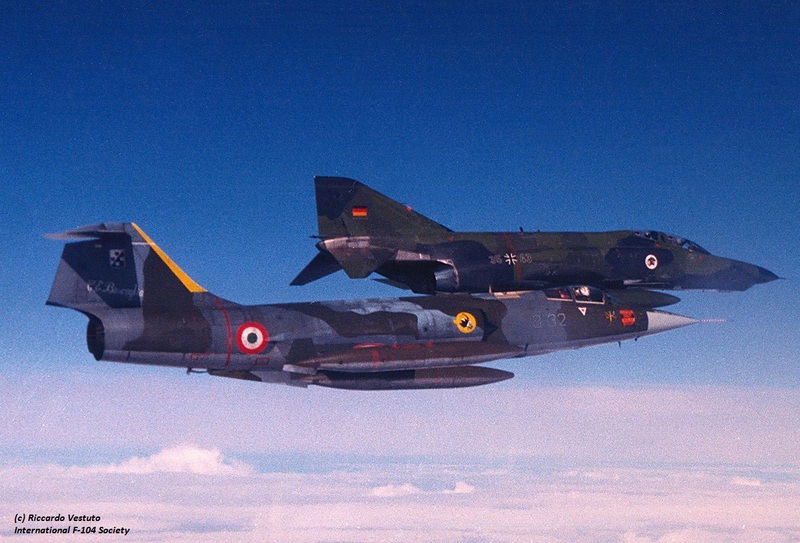 In total four Italian Starfighters from 28 Gruppo based at Villafranca AB, flying the F-104G exchanged with German Air Force AG52 at Leck AB flying the RF-4E Phantom. Sadly the participating aircraft which went to Leck are unknown as well as the date the aircraft returned back home to Italy. It was at least a 2 way exchange. 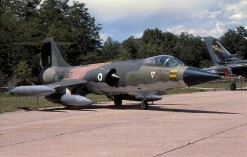 In autumn the Hellenic Air Force 335 Mira, based at Araxos AB, flying the F-104G, exchanged with the Italian Air Force 21 Gruppo based at Cameri, flying the F-104S. It was a 1-way exchange where only the Italians flew to Araxos. 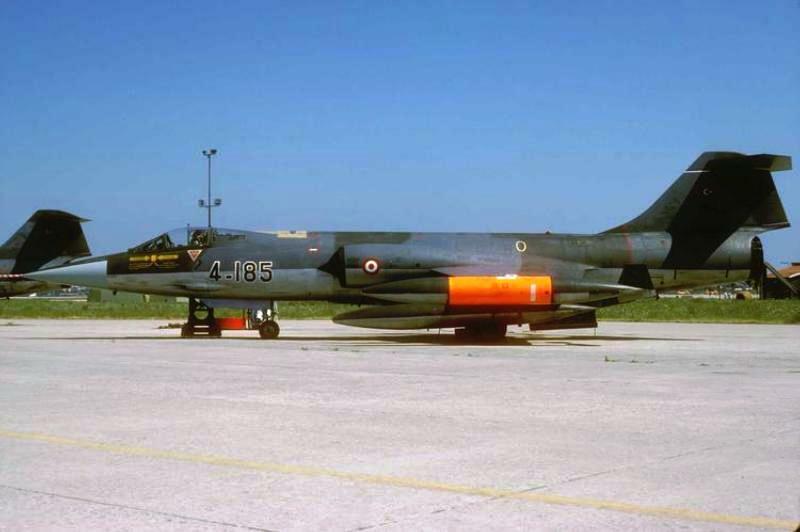 Remarkable however was the visit on 21 June of two Greek Starfighters at Cameri to participate with the 50 Years 53 Stormo anniversary held at the airbase. 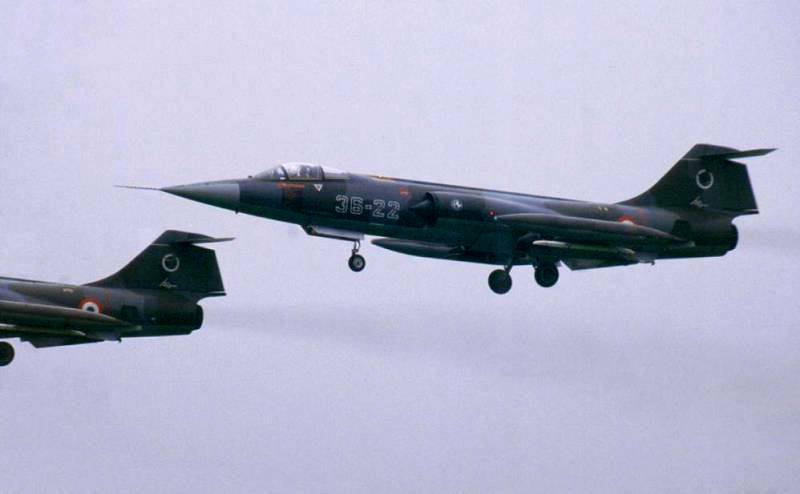 These aircraft were F-104G 63-12710/FG-710 and RF-104G 6662/FG-6662. It is possible of course that with this visit also the upcoming exchange was discussed. Beneath a photo taken at Cameri on June 21st showing aircraft 6662. 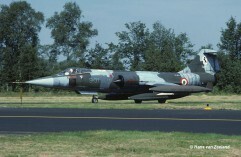 This year the French Air Force EC 3/12, flying the Mirage F1C from Cambrai, exchanged with the Italian Air Force 9 Gruppo based at Grosseto, flying the F-104S. 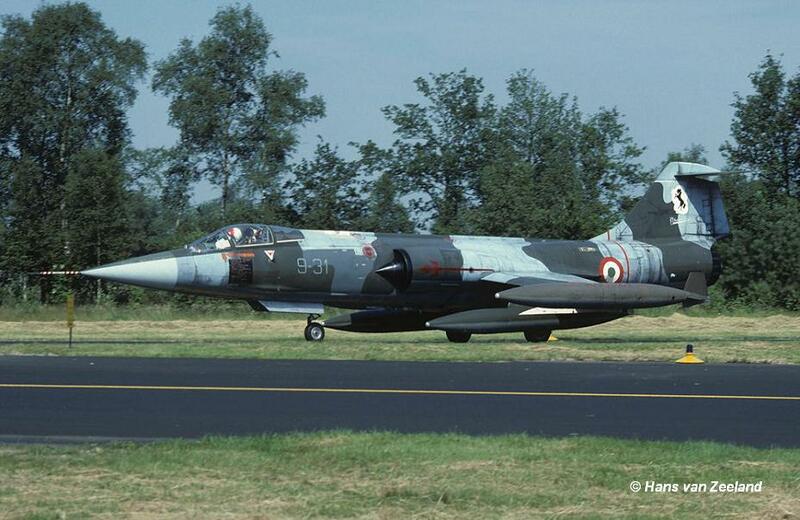 It is unknown if it was a 1 or 2-way exchange but at least the Mirages were seen at Grosseto.